RISA-2D is a useful application for the users that need to analyze 2D models in order to optimize them. The program allows you to design and to analyze structures by using the visual interface or the data spreadsheets. You can take advantage of the large number of material codes that include steel, concrete and timber. The program intends to provide you with quick results on both simple and complex models. Review your connection in an interactive 2-dimensional picture or view it fully rendered in 3-D. The rendered view allows you to rotate 360 degrees to see the entire connection. In RISAConnection, you can use the AISC 360-05 for either ASD or LRFD design to check any size connection. The RISAConnection output has fully comprehensive engineering calculations with code references, making it easy to understand the code check. * RISA-2D download link provides demo version of the software. 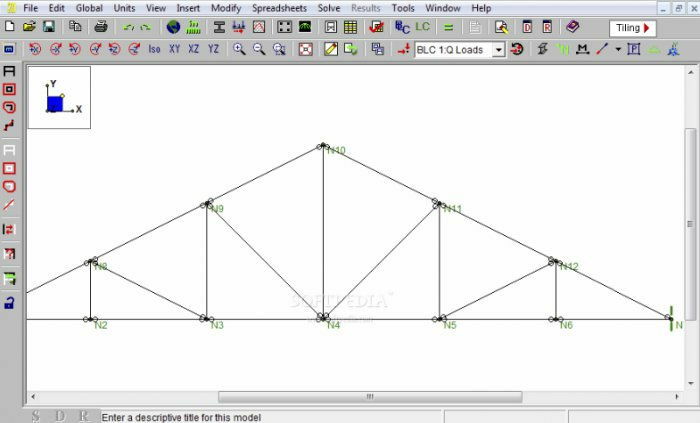 RISA-3D is an accurate tool for creating 3D models of buildings and other beam structures. RISAConnection is a useful program designed to assist engineers in finishing steel structures by creating welds and connections between the elements. RISASection allows the user to define any type of complex cross section either by combining standard shapes or by defining new shapes. 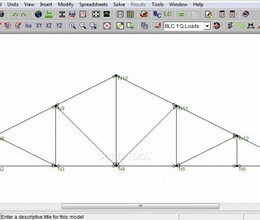 RISAFloor is a powerful application designed to help you create CAD drawings for structural engineers. RISA-2D has been rated 3.0 out of 5 points. A total of 3 votes cast and 0 users reviewed the software.